Zsolt Sőrés Ahad - viola, toy synths, lo-fi electronics, circuit bent toys, home-mades etc. 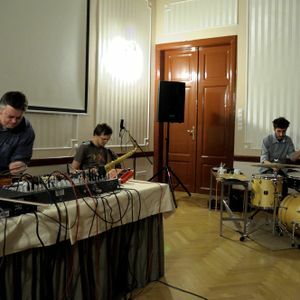 Recorded live at the Károli Gáspár University of The Reformed Church in Hungary Ceremonial Hall, Budapest, Hungary, 13th April, 2012. Stereo recording by a Zoom H2 Handy Recorder.